Search no further—North Carolina’s Winston-Salem is a hole in one for planning a great sports event. Why should I consider Winston-Salem for the team’s next destination? For some people, just the thought of planning where to go, where to stay and what facilities to use for your sports event can be a headache. You have different opinions popping out from every corner, and you just want to pick a spot so the madness can end. With amazing sporting facilities, nearly 5,000 hotel rooms, plenty of shopping locations, a diverse range of restaurants and activities galore, Winston-Salem appears to be the perfect location to bring the team. With farmers markets like Cobblestone Farmers Market at Old Salem, barbecue places like Richards BBQ and diners like Mary’s Gourmet Diner, the team will be eating well. There’s no need to worry about trying to please everyone because Winston-Salem’s diverse selection is bound to make everyone happy. Now that I’m hooked, what activities does Winston-Salem offer? Winston-Salem has countless categories of things to do during break time—art galleries, museums, outdoor adventure, shopping, entertainment and special events. Right in the backyard of bustling downtown Winston-Salem, visitors enjoy the quieter pace of 18th-century Moravian lifestyle. One of the country’s most authentic and comprehensive history attractions, Old Salem Museums & Gardens is home to more than 100 preserved and restored homes and buildings. The Downtown Arts District offers a unique shopping experience, innovative galleries and entertaining special events, such as the First Friday Gallery Hop. Or visit Reynolda House, listed as one of “The Great Houses of the South” and now one of the nation’s premier American art museums. Young children are always flabbergasted by the amazing works of science. Take them to Sciworks to see interactive, hands-on exhibits, a planetarium and an environmental park. Airbound Trampoline Park features 12,000 sq. ft. of custom-made trampolines adjoining the floors and walls in a family-friendly atmosphere. And it’s worth noting that downtown Winston-Salem will be opening National Cycling Center, a 42,000 sq. ft. facility, in 2016. Winston-Salem also has a few special events that can’t be found any place else. Winston-Salem Open is the last ATP World Tour 250 event prior to the US Open. Tanglewood Park Festival of Lights – an annual event that showcases the largest light display in the southeast. Shopping enthusiasts in your group can visit Hanes Mall, the largest indoor shopping mall between Washington D.C. and Atlanta. When your group gets hungry after experiencing a fulfilling day in Winston-Salem, there are more than 100 locally-owned restaurants, eateries and entertainment options to choose from located within the downtown area. 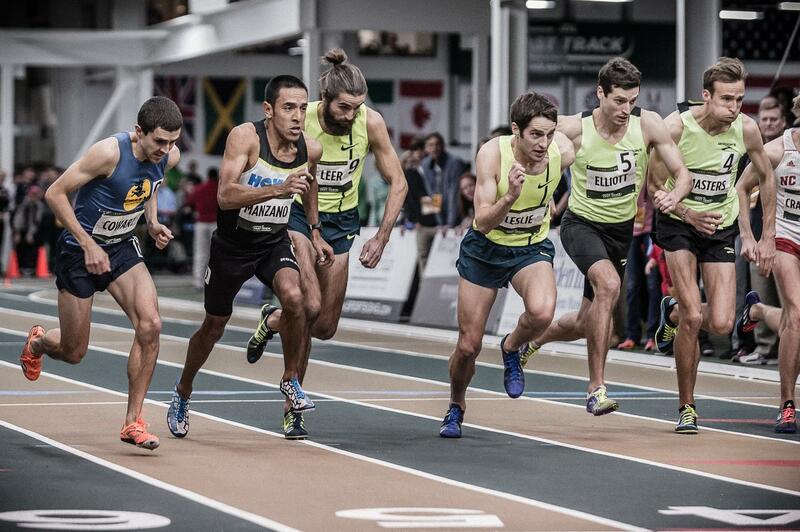 11,000 athletes, 22 contested events, more than a dozen state-of-the-art facilities, one city…Winston-Salem! As host of the Powerade State Games of North Carolina, Winston-Salem provided our participants and their families with first-class facilities, great hospitality and memories to last a lifetime. We host national events at more than 20 locations each year …Winston-Salem is among the best. Thank you for co-hosting the 2015 NCAA Division III Men’s and Women’s Indoor Track and Field Championships. It is a tribute to Visit Winston-Salem that you successfully conducted an outstanding event. What should I know about the facilities? Wake Forest Tennis Complex is a $3.5-million, 64,000-square-foot building with eight climate-controlled, indirect-lighted Mondo-Ten tennis courts. The stands can fit up to 300 guests, and there’s a fully operational locker room for those competing in matches. The complex is located east of the Groves Complex. You will feel like a pro while playing at one of these courts. Wake Forest Tennis Complex also has a outdoor facility which opened in the summer of 2011. It features 13 Deco-Turf II courts, the same court surface that is used at the US Open. In 2018, the Wake Forest Tennis Complex is host to the NCAA Division I men’s and women’s tennis championships. This beautiful park features 13 full-size Bermuda fields right along the Yadkin River. Other perks of BB&T Soccer Park are a filming tower for videoing practices or games, a fieldhouse to meet with the team, picnic areas and water stations to keep athletes hydrated. 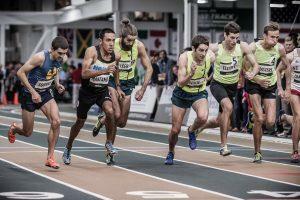 Among upcoming 2015-16 season events at JDL Fast Track are 2016 NJCAA Indoor National Championships, 2016 Camel City Invitational/Elite Races and CIAA Indoor Championships. A 105,000 sq. ft. facility is one of the premier indoor track and field facilities in the southeast and houses a 200-meter oval track with a Mondotrack FTX surface. It has held three national championships: 2014 NCAA Division II, 2015 NCAA Division III and 2015 USATF Masters Indoor National Championship. The facility includes a 100-meter warm-up track, training room and hospitality suites for the coaches. Winston-Salem Fairgrounds and Annex can host wrestling, fencing, cheerleading and dance competitions. This is where the annual Dixie Classic Fair is held. The grounds are roughly 70 acres and have multiple facilities offering approximately 34,000 square feet of unobstructed open floor space. Lawrence Joel Veterans Memorial Coliseum (LJVM), is one the premiere basketball venues in the Atlantic Coast Conference (ACC). The maximum coliseum floor space is 25,740 square feet. It can seat 14,665 for an athletic event and 15,272 for concerts. In addition to regular season basketball games, LJVM has hosted the NCAA Men’s Basketball Championship First and Second rounds in 1993, 1997, 2000 and 2007 and has been home to the MEAC Mens and Womens Basketball Tournament, the CIAA Tournament and the Davis Cup. Also within the Coliseum are the three adjoining rooms totaling 3,290 square feet. One of Winston-Salem’s premier events venue, formerly recognized as BaseballParks.com “Ballpark of the Year”, and home of the Winston-Salem Dash, the Carolina League affiliate of the Chicago White Sox. BB&T Ballpark consists of 5,500 stadium-style seats and 16 luxury suites. Tanglewood Park, an 1,100-acre public park, offers pedal boats, tennis courts, an Aquatic Center, picnic shelters, walking and biking trail systems, horse stables and golf. Tanglewood Park’s BMX course was named the Top BMX Track in the State, and the venue hosted the 2013 USA BMX Redline Cup Finals East. Prior to the Redlines Cup Finals East, more than $20,000 in improvements were made to the course, including a redesign, new paved turn, and a viewing deck for family and fans at the start line. The Benton Convention Center is the perfect spot for a big tournament with spacious lobby areas for pre-event registration or reception. The center is connected to the Embassy Suites Hotel Winston-Salem and Marriott Hotel Winston-Salem, which creates the Twin City Quarter Complex. Its ballrooms and exhibit halls often host fencing, cheerleading, dance and martial arts competitions. In 2016, the Benton Convention Center is slated to undergo a meaningful 17.5 million dollar renovation to both the interior and exterior of the 100,000 square foot building. How do I get the team to Winston-Salem? Luckily, Winston-Salem is not a difficult place to travel to. North Carolina has a great interstate system and a major international airport is close by. Whether the team prefers driving or flying, there will be an option for you and your teams. By Car: Winston-Salem is about a one-hour drive from Charlotte and two-hours from Raleigh, two of North Carolina’s most populated cities. By Air: The Piedmont Triad International Airport, just east of Winston-Salem serves approximately 57 non-stops flights serviced by six major airlines.